This article about the Western Michigan University and Cooley Law School affiliation was written by Michigan Lawyers Weekly writer Lee Dryden originally published on May 31, 2017 in News Stories. It is reprinted with permission by Lee Dryden and Michigan Lawyers Weekly. 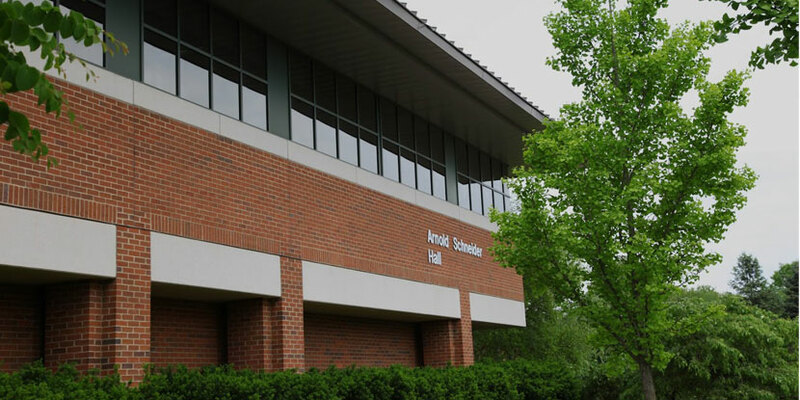 WMU-Cooley now offers classes in Schneider Hall at Western Michigan University in Kalamazoo. Opportunities provided by the affiliation that resulted in the dual-titled Western Michigan University Thomas M. Cooley Law School continue to grow. The public university and private law school have partnered in various ways since 2001, culminating in the 2014 collaboration that changed the law school’s name. The effort expanded in 2016 with Cooley offering 15 credits of first-year law school classes on WMU’s Kalamazoo campus. Now, Cooley is working toward offering up to 60 credits at WMU. Also on the horizon is an accelerated program where students could take classes that would count for both undergraduate and law school credit. It’s all part of an effort to serve students through the efficiencies that flow between the two schools. As of fall 2016, WMU-Cooley law students have been able to begin their legal education with the first 15 credits in Kalamazoo. To continue, they must proceed to one of the law school’s four campus locations in Grand Rapids, Lansing, Auburn Hills or Tampa Bay, Florida. The 15-credit option has been well received, Robb said. WMU-Cooley is seeking approval from accrediting bodies — the American Bar Association and the Higher Learning Commission — to expand its program to 60 credits in Kalamazoo beginning in fall 2017, according to the law school website. The ABA already conducted a site evaluation of the Kalamazoo location and issued a report, according to the website. If the ABA approval is received without HLC approval in time for fall 2017, the law school will expand its program to 44 credit hours. Acknowledging the high cost of higher education at all levels, Robb said an accelerated degree program is in the works. It could help students earn both degrees in less than the traditional seven years, saving tuition and living expenses. “It’s coming down the pike,” he said. Undergraduate students who enroll in the law school could take law classes that count toward their undergraduate requirements and law school credit. The key would be being accepted to law school as an undergrad as the ABA forbids taking law school classes for credit before admittance. Robb offered examples from a list of 160 initiatives between the two institutions. A Cooley faculty member has taught a health law course at the Western Michigan University Homer Stryker M.D. School of Medicine. The law and medical schools teamed for an Affordable Care Act symposium. Cooley instructors have consulted with WMU faculty on designing instructional programs as the university is known for its efforts to enhance teaching methods based on how students learn, Robb said. The schools have worked on literacy and diversity efforts and much more. “Ultimately, we hope and expect, that by operating under the Western Michigan banner, it will improve the reputation of the law school,” Robb said. He said the evolution of the relationship has been organic as the faculties and management are encouraged to explore ways to collaborate at all levels. There also are partnerships that pair law degrees with Master of Business Administration, Master of Public Administration and Master of Social Work degrees. Robb said a $418,000 U.S. Department of Justice grant in 2015 for the WMU-Cooley Innocence Project wouldn’t have been possible without both institutions on board. The project seeks to exonerate people who have been wrongfully convicted of serious crimes. Cooley houses the Innocence Project, while WMU obtained the grant as it had to be awarded to a public institution, Robb said. “It’s a great example of the benefit of the affiliation,” he said. Law school employees and their dependents receive reduced tuition at WMU as an employee benefit — and vice versa. This helps attract faculty and staff, Robb said.